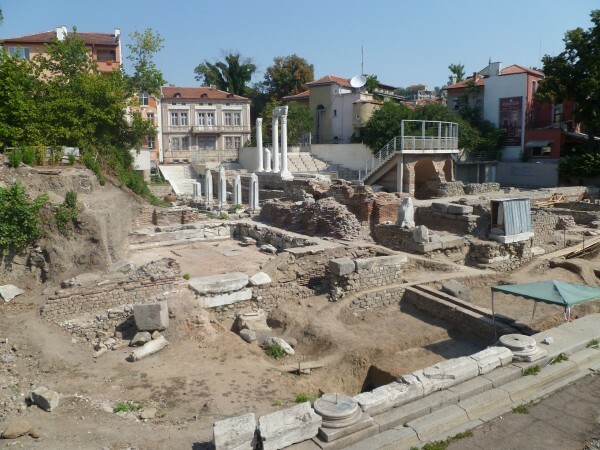 Archaeologists working on digs at the Roman Forum and Odeon sites in Bulgaria’s second city of Plovdiv have unearthed a number of interesting finds from various periods and the city now wants to expand excavations at the Forum site. The Forum site, near the current modern-era central Post Office, dates from the first to second centuries CE. Overall, it covers about 11 hectares, making it arguably the largest such Roman-era forum site in Bulgaria. The Post Office dates to the 1970s, to the communist era when 19th and early 20th century buildings were razed to make way for it and other large-scale buildings adjoining it on a large square. Some archaeologists believe that any number of archaeological finds lie waiting to be discovered beneath the massive concrete of the Post Office. Nearby is the Odeon site, dating from the second to fifth centuries, location of a Roman-era theatre, smaller in scale than Plovdiv’s well-known ancient theatre in the city’s Old Town. Totev said on August 23 that he was seeking permission from the Ministry of Culture to expand the excavations on the site north of the Post Office by a further 400 sq m.
On the Forum site, a construction inscription in ancient Greek was found in the dig in early August. The head of the archaeological team on the site, Elena Kisyakova, was quoted by local media as saying that the inscription dates back to the times of Emperor Antoninus Pius, who governed in 138-161, and shows that the building was built in his honour. “It is, however, unclear who paid for the construction of the building, since only a small part of the inscription is preserved,” Kisyakova said. Other finds at the site, which by late August had been excavated to a depth of 2.5m, included coins dating from, variously, the third century to as late as the reign of Sultan Murad, who ruled from 1359 to 1389. Kisyakova said that the location of the Propylaea, the ancient arches that were the entrance to the Forum, had been established and it was expected that in time these would be fully exposed. 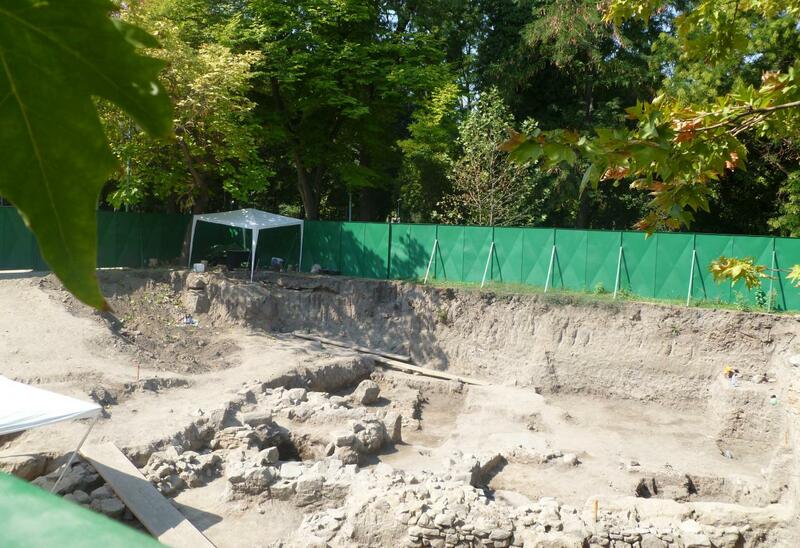 At the Post Office site, archaeologists also had found traces of medieval buildings from the 10th to 12th centuries, a significant find, according to Kisyakova who said that this was the least-known period of Plovdiv’s history. At the Odeon site, a marble eagle was found, estimated to date from the second to third century. Maya Martinova, head of the dig at the site, said that the eagle was of a type from the interiors of public buildings, and along with finds of marble columns and other items, was proof of the luxurious interiors of buildings in Phillipopolis, a prosperous city at the time. The Odeon site has seen finds of more than 200 coins, tiles depicting theatrical masks and Roman pottery. The coins include some with the images, respectively, of the emperors Geta and Caracalla, minted in ancient Sofia and in ancient Plovdiv at the end of the second and beginning of the third centuries. Other finds include nails, glassware, Roman cups and bowls, amphorae, a lead water pipe that was part of the Roman-era sewerage system, and drinking vessels used in religious rituals. Mayor Totev, elected in 2011, is keen to highlight the city’s archaeological wealth – the city of which he has stewardship boasts of being older than Rome and is the 11th-largest on the Balkans – because Plovdiv is among Bulgarian cities in the running to be the European Capital of Culture in 2019. Among Totev’s election campaign promises was work on an underground archaeological museum in the city.